Because my life wouldn’t be complete without dinner rolls, I made more for you. This time? The best, fluffiest, most perfect Potato Rolls you’ll ever eat. Ever since I made 45 Minute Dinner Rolls (and her sister, small batch dinner rolls), I’ve been dying to make Potato Rolls. One, they just sound cool (potatoes IN BREAD??) and two, potato bread is so darn good that I know homemade would be even better. I don’t make dinner rolls every night, but I kind of wish I could. However, because I need help with my willpower (read: I have none when it comes to bread), I only make them on certain occasions. One of those occasions is soup night. It’s blasted hot here from May-October and no one wants soup in 100 degree weather. Jordan hates soup. She hates most of what I make for dinner, but soup is her #1 nemesis. Since it’s winter and generally California-cold (which means it’s in the 60s and my fingers are blue 90% of the day), I like to make soup at least once a week for dinner. If we don’t have some sort of bread in the house I can appease Jordan with, I make dinner rolls. You should have seen her face when she saw this pan of Potato Rolls! It kind of mirrored mine. Bread flour. There is no all-purpose in this recipe, and now I know why people love bread flour so much. It has a high protein content which creates more gluten which, in turn, creates a better roll. 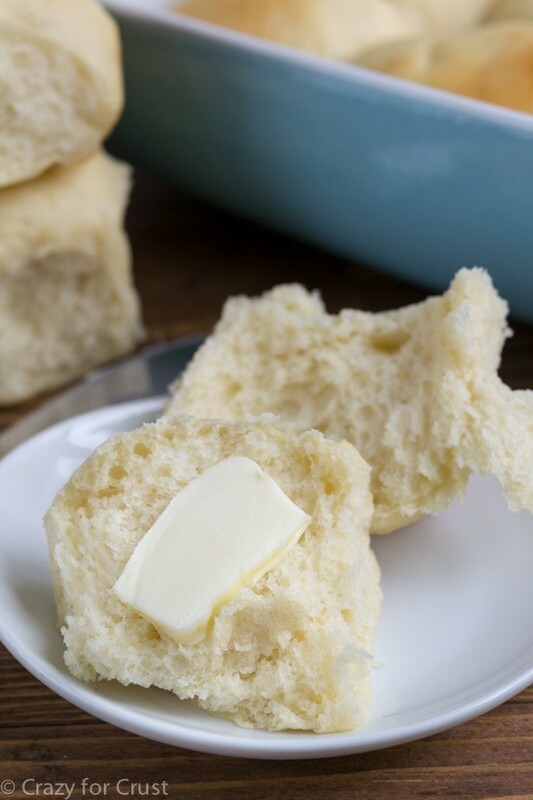 I’ve always used a combo of flours, but all bread flour makes these super soft and fluffy! Potato Flakes. This recipe uses boxed potato flakes. It’s just so much easier to use the flakes because we never have mashed potatoes on hand when I want to make rolls. NOTE: Some potato flakes come in boxes without inserts. Beware when opening the package. Or this will happen. Like when you make one of my cinnamon roll recipes, the dough for these rolls needs to rise for a couple of hours before you shape and bake them. 2-3 hours is sufficient for the dough to double in size. Once the dough is doubled, you punch it down to remove air bubbles and then portion it into 12 rolls. Once they rise again (about 30 minutes) you bake until they’re golden. And they’re perfect! Fluffy, soft, and perfect! These Potato Rolls are great for dinner or lunch. Combine water and oil and heat to 120° to 130°F. It’s best if you can use an instant read thermometer, but I don’t have one. I heat my water to very hot bathwater temperature, about 45-60 seconds in my 1100W microwave. Pour the liquid ingredients into the mixing bowl with the flour and yeast and mix with the paddle attachment for 4 minutes on medium speed. Change to the dough hook and gradually add remaining flour. Knead in mixer for 5-7 minutes until smooth and elastic. Place dough in a bowl that’s been lightly oiled or sprayed with cooking spray. Cover with plastic wrap and let rise until double in size, about 2-3 hours. Turn dough onto a lightly floured surface and punch it down to remove air bubbles. Divide dough into 4 parts, divide each part into 3 sections for a total of 12 rolls. Shape each piece into a smooth ball and place in a 9x13” baking dish that’s been sprayed with cooking spray. 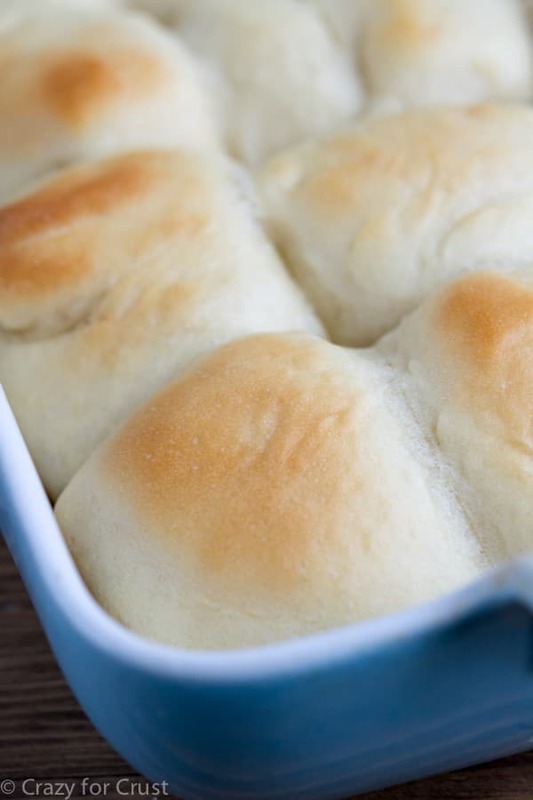 For individual rolls, you can place in muffin pans or 2 to 3 inches apart on a cookie sheet. Cover the pan with plastic wrap and let rise at room temperature until indentation remains when touched (about 30 minutes). Preheat the oven to 375°F. Bake for 20-25 minutes. 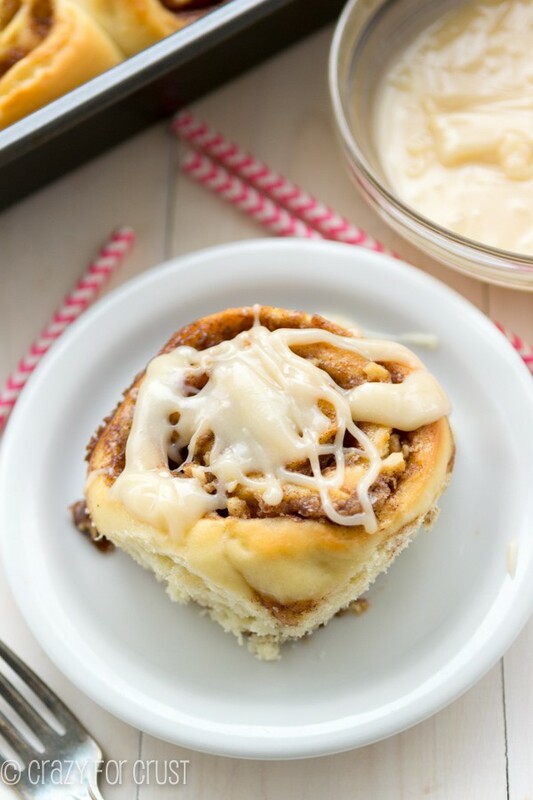 Perfect Overnight Cinnamon Rolls with a photo tutorial! These look so yummy! I think I could happily eat soup for every meal. I pretend that it is a winter thing, but I’ve definitely made big batches of soup in the winter as well. Soup is so much better with bread though! I’m planning a chili recipe soon, this sounds like an excellent accompaniment. 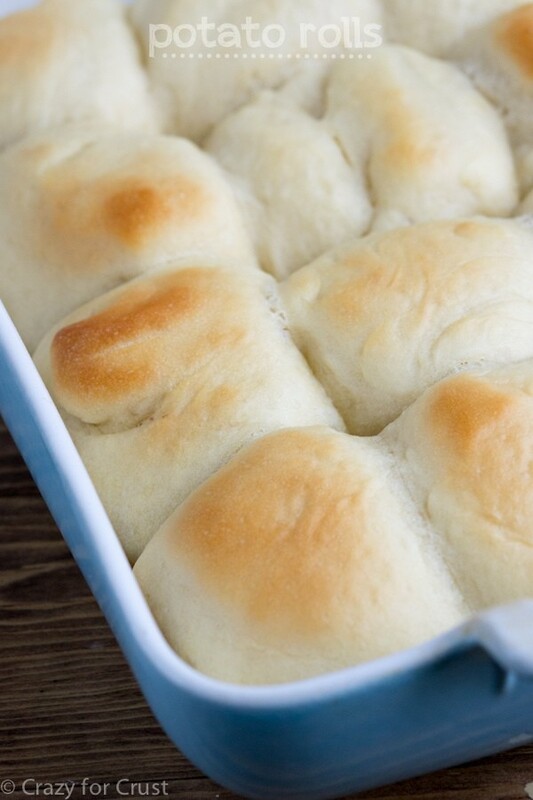 These rolls look so soft and delicious! My mouth is watering! oh my gosh, I need mini meatball subs in my life made with these rolls…STAT!!! These are gorgeous Dorothy! YES! That? Would be fantastic. Wow how have I never heard of these plump beauties?! 3 & a half hours seems like crazy time but I’ll most certainly be putting the 45 minutes ones on my ‘to bake’ list! It’s actually fast for a bread/roll (the 3 hours). Bread is an all day thing, but worth it! 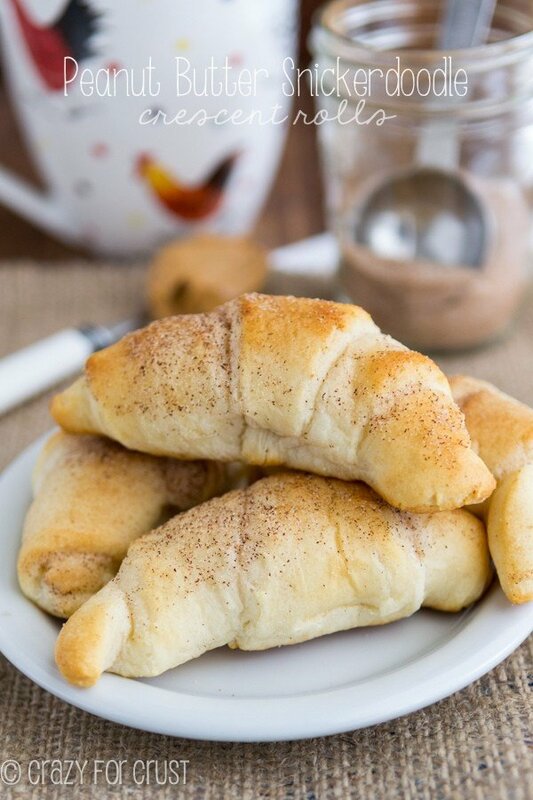 If you up the yeast to a tablespoon, I bet you can make these in less than an hour! These look wonderful! Do you think I could use AP instead of bread flour? (I have AP in the pantry). Thank you. I haven’t used AP flour but I’m almost positive you can. Except for the potato, the recipe is similar to my other roll recipes,which use AP. You may need more (or less) so start with a little less and work your way up slowly, until the dough comes together but is still soft (but touchable). Let me know how it goes! You know I love your rolls recipes! 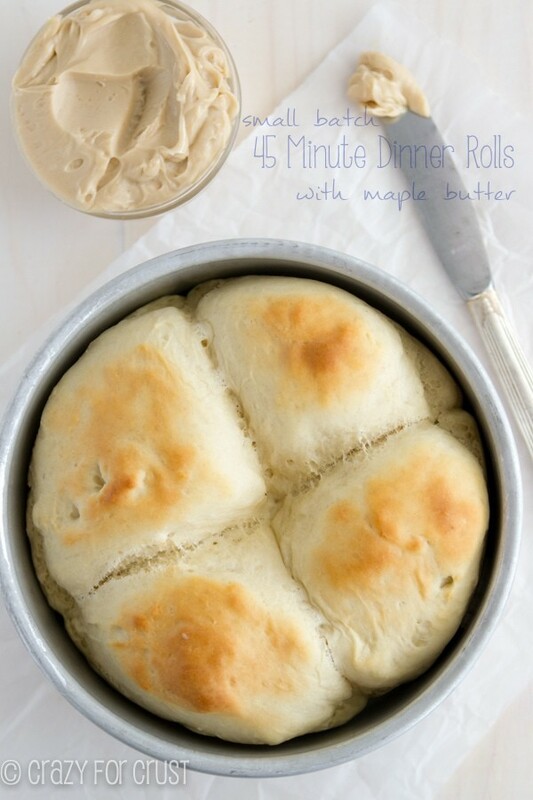 I am obsessed with your 45 minutes dinner rolls and I know I will be on a potato roll bender after trying these! Cannot resist a homemade dinner roll. I am sure there are people out there who can, but I am not one of them! Pinned! Those rolls look heavenly! So light & fluffy! I commented earlier with a question about using AP flour and you asked me to let you know how it went. I tried to reply to the thread but kept getting an error message. Anyway, I think mine came out “just okay” with the AP flour. I don’t think I’d recommend it. They have good flavor but they didn’t hold their structure (they’re not nicely mounded). They’ll be great toasted with cheese! Hi! my egg and soy allergic daughter LOVES these – as does my husband! 😉 What part of the recipe would be a good spot to refrigerate? I’m hoping to make these the night before thanksgiving and am not sure if I should do it at the end when they’re already in roll shapes or before they rise the second time?? Thanks so much! !